The ancient Egyptians said that topaz was colored by the golden glow of the mighty sun god Ra, giving this brilliant gem the power to protect the faithful against harm. The Romans associated topaz with Jupiter, who also is the god of the sun. Rare pastel pink topaz is found in Pakistan and Russia. When pink topaz was first discovered in Russia, ownership was restricted to the Czar and his family and those to who he gave it as a gift. This is why fine colored topaz is known as imperial topaz. In Brazil, miners have long called all yellow gems topazio . True topaz is called topazio imperiale. Today, most dealers in the United States only use imperial to refer to topaz with rich reddish orange, sherry red, or vivid deep salmon pink colors. Almost all imperial topaz is mined in Brazil. 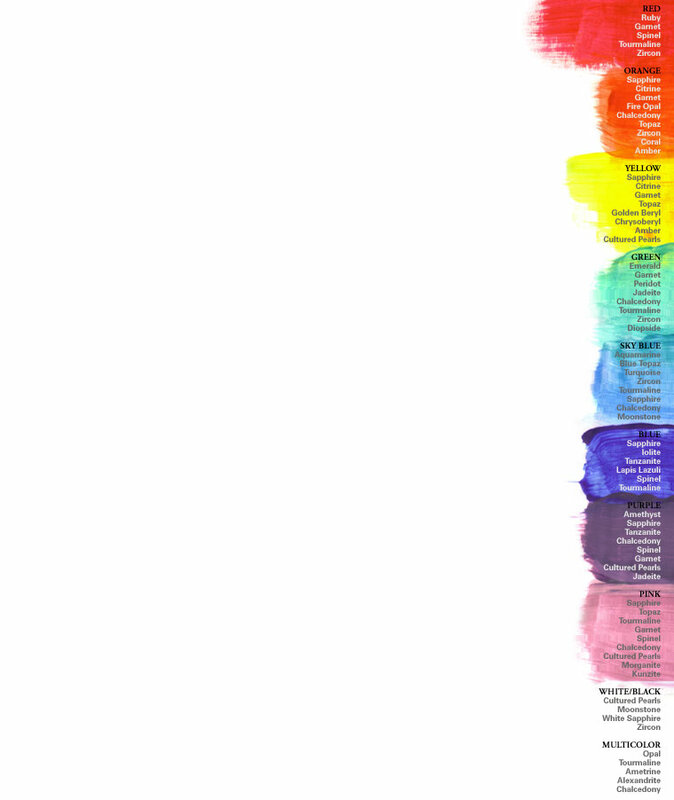 Other shades, including yellow, peach, orange, and brown precious topaz are called precious topaz. Precious topaz is found in Brazil and Sri Lanka. Legend says that topaz has the power to dispel enchantment. The ancient Greeks believed That topaz could increase strength and make a wearer invisible in times of emergency. Topaz was said to change color in the presence of poisoned food or drink. Topaz is the birthstone for those born in the month of November. A large spectacular topaz, known as the Braganza, is the centerpiece of the Portuguese Crown. Topaz occasionally grows in massive crystals: the largest known is 597 pounds! 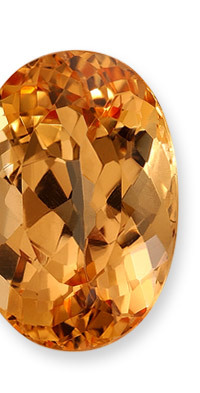 Topaz holds the record for the worl'd largest faceted gemstone: a staggering 36,854 carats. Precious topaz is most often found in a scissors cut, a rectangular gem cut with curved sides that has triangular facets. Ovals, cushions, and emerald cuts are also available. Topaz is a very hard gemstone, with a Mohs hardness of 8, but it can be split with a single blow, a trait it shares with diamond. As a result it should be protected from hard knocks. Clean with mild dish soap: use a toothbrush to scrub behind the stone where dust can collect.